Shopping for Sonic the Hedgehog Bed and Bath? They're the best buds and the best cuddlers! The Sonic the Hedgehog Sonic and Tails Fleece Throw Blanket features an image of Sonic and Tails running for their next adventure. 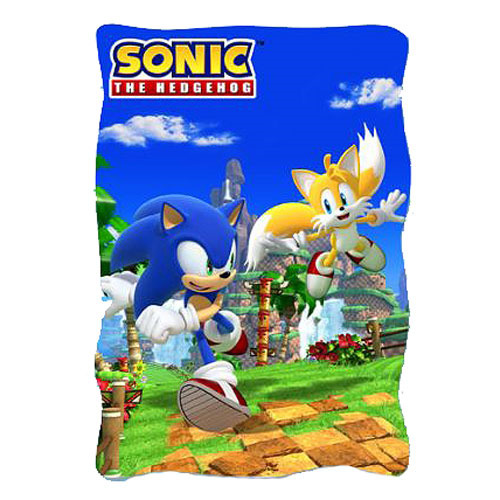 Soft and gentle, this blanket is perfect for any fan of the Sonic the Hedgehog series to cuddle up with! Measures 60-inches x 45-inches. Ages 12 and up.